Petar Dundov had the honour to make this week's RA podcast. You can check out an interview with him on Resident Advisor, the podcast you can download directly through this link, or you can go to our Soundcloud page. Petar just released 'Distant Shores' on Music Man, which Sven Väth calls his "favorite set closer" of the moment in a recent interview with Beatportal! Get your copy of Virton Upgraded now! 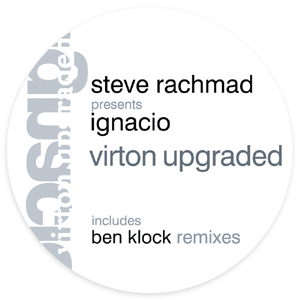 One of the ultimate Music Man classics "Ignacio - Virton" gets re-worked by the master STEVE RACHMAD himself. Included are two different remixes by Ben Klock from Berghain and Ostgut Ton fame. To listen to this release go to the Soundcloud set or Youtube playlist. Joris Voorn: Lovely package, with great BK Mixes! Dave Clarke: Best mix is Remix B, I wouldn't have expected a techno floor filler from Ben, Nice! 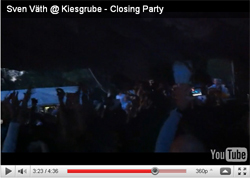 Skudge: Ben klock Remix B is Dope! 2000 and One: Massive remixes of one of Steve's best techno trax!!! Edwin Oosterwal (rejected): Awesome! Timeless peace of music. Ben Klock mixes are also nice. Peter Van Hoesen: Hell yeah. Ben's B Remix is the one for me. Dark yet emotive... Will include this one in my november chart. Thanks. efdemin: REMXI B is awesome. Marc Romboy: very big Ben Klock remix! Unique!!! samuel l sesson: rachmad & klock 2 really good! 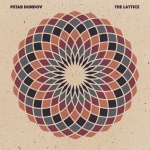 petar dundov: great rework, full support. michel de hey: played it so many times now, BOMB!!!!!!!!! Cari Lekebusch: Love that arp melody! The Remix B is also very tempting next to the original :D YAY! Do i smell analogness?? LOL! Quince: Wow wow wow!!!!! What a great EP. I've been waiting for this one a long time and it has been worth the wait.... Hard to choose between Steve's Upgraded version and Ben's Remix B. Will be playing this a lot! angel molina: this track was essential iearly 00´s... And still, upgraded or not. Ben Klock adds special feeling to it, heavy rhythm, very industrial. Again essential in 2010. Steve Rachmad & Ben Klock upgrade Virton! Vinyl and digital downloads will be available from the 29th of November on. Get your copy of the new Petar Dundov now! From our very first listen we were instantly taken aback … dreamy, amazingly composed and perfectly spaced out techno for a good lasting 12 minutes. Petar Dundov’s new release ‘Distant Shores’ simply has it all. If you’re looking to take your crowd someplace wonderful and much more then this is what you need. Petar Dundov is releasing his new single ‘Distant Shores’ via Music Man Records. Producer Petar runs his own ‘Neumatik’ studio and multimedia company where he works as a sound engineer as well as producing his own take on techno, house and electronica. Since his first foray into the world of electronic production he has released on selected labels including Cocoon. In 2001 he released the ambient album ‘Sculptures 1-3’ on Jeff Mills’ Tomorrow label and he has even worked on a soundtrack for ballet noir ‘Torsia’ in Zagreb through his own studio and multimedia company www.neumatik.hr. After a short creative break Petar released the single ‘Oasis’ and brought attention back to his music. The single also announced the direction and concept of his album ‘Escapements’. The cross genre album is his most accomplished work to date, and features beautifully layered techno, hypnotic rhythms and shimmering melodies. Naturally, ‘Distant Shores’ is an ascension from ‘Escapements’ and is set to become another real landmark release for the Croatian DJ/producer. You can listen to 'Distant Shores' on Youtube. The 12" is available with special holographic artwork, don't miss out on it! You can get it on Juno / Decks / Phonica / Deejay and in all good stores. The digital download is available through Beatport, where it's currently in the techno Top 10!! The feedback we received on 'Distant Shores' is nothing but amazing! Adam Beyer: BIG! full support. Len Faki: an epic - mr. dundov did it again! Karotte: wow!!! perfect for the morning hours!!! love it. Marc Romboy: Huge fan of Petar, still playing "Oasis" from time to time! However this piece is a master piece again! Will play at my radioshow and also with pleasure at my shows, thanx! Joel Mull: Amazing again. A love story. Full support. Laurent Garnier: Got this , love this !! Sebastian Mullaert (aka Minilogue): Love it! Will play ! Vince Watson: Great track for ending a festival set when the sun is going down...lush. Gabriel Ananda: Wow, what an Epos. Really great track!! Danny Howells: Sounds like another killer from Dundov .. will be supporting this! Brodinski: i love this petar dundov! Zombie Nation: Love the sound aesthetics. 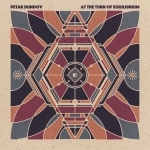 New Petar Dundov out now! 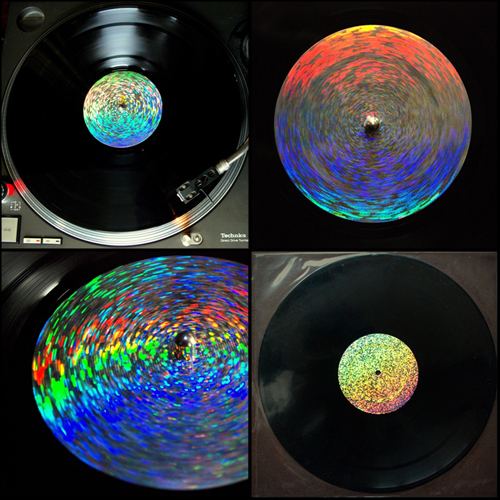 This release is available as a limited 12" with special holographic artwork. Don't miss out!! You can get it on Juno / Decks / Phonica / Deejay and in all good stores. It will be on Beatport from Monday the 1st of November on.